Although King Iron Works specializes in custom wrought iron designs ranging from iron gates and doors to more decorative iron accents, we are no strangers to glass. 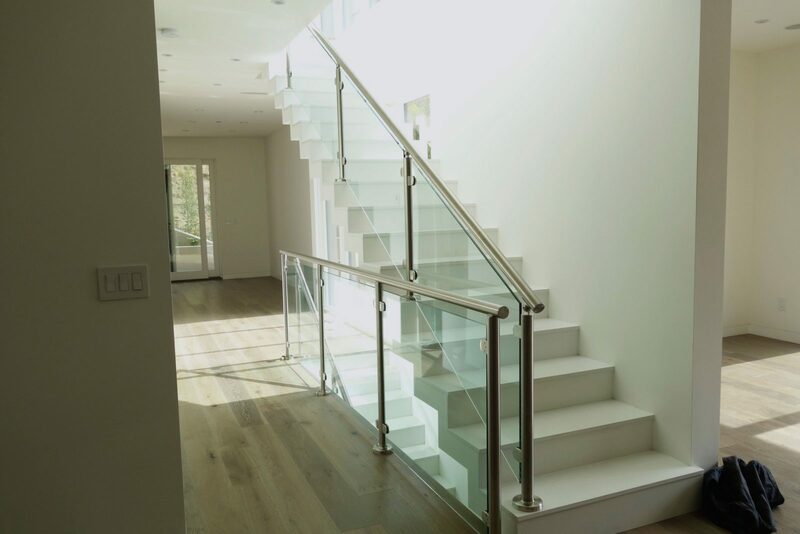 From glass gates to glass balcony and stair railings, our talented team of artisans have created many sleek and contemporary custom glass designs that uphold the King Iron Works standard. Our contemporary glass designs and projects have been showcased in the King Iron Works EYE series. Take a look at the stunning glass pieces within this collection by flipping through our contemporary diary on the King Iron Works website for ideas and inspiration. No matter how complex and original a glass and iron project idea might be, at King Iron Works we are always eager to do whatever we possibly can to bring the clients’ vision to life. The EYE series showcases some of our best glass designs that began as an idea and developed into installments that truly make a fresh and contemporary statement. Whether a project involves wrought iron or glass touches, working with King Iron Works means being able to count on a family owned and operated business with over four decades of time tested designs. King Iron Works’ expertise extends beyond wrought iron. If you have had a contemporary glass project concept, we can fabricate what you have in mind and communicate your vision with expert craftsmanship. King Iron Works communicates with clients to form a thorough understanding of the style and tone they are looking to achieve with their iron and glass designs for their homes and businesses. The countless residential and commercial properties within our extensive portfolio have included a variety of styles including traditional, baroque, art deco, Spanish style, and of course, contemporary. Many modern designs opt for a sleek and linear look when it comes to choosing doors, windows, gates, railings and other accents. 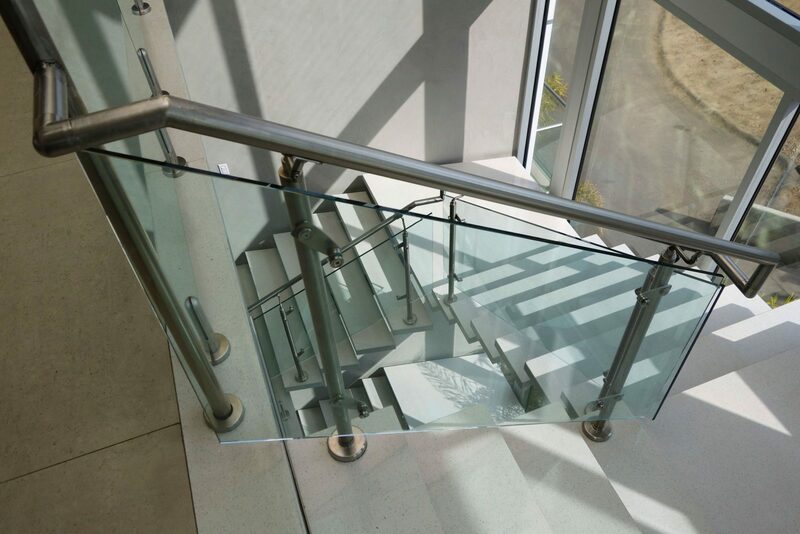 Glass touches are an excellent way to create an immediate minimalistic and contemporary look. The EYE series includes glass designs that fit the clean lines and smooth look of the custom wrought iron details. Innovation and aesthetic meet quality in King Iron Works’ glass designs. 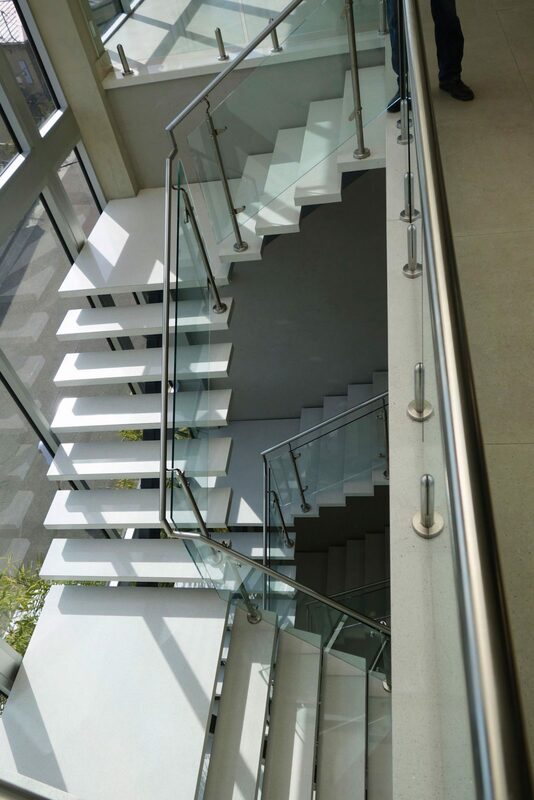 Not only are glass details aesthetically appealing, but exceptional quality and craftsmanship give clients the peace of mind they need while building or renovating their homes or businesses. As experts in the industry, the designers and artisans at King Iron Works can help you take a mere idea or thought and turn it into a detailed design and plan. We invite you to visit and walk through our eight thousand square foot showroom for inspiration. If glass designs are what you have in mind, the EYE series in our contemporary diary will certainly help feed your vision as well. A consultation to discuss your ideas for iron or glass designs will help bring you one big step closer to watching your vision come to life. We understand that renovating or building can raise many questions or confusing concepts for clients. Therefore, we are available to communicate and provide detailed explanations whenever the client needs throughout the entire project, from concept to completion.